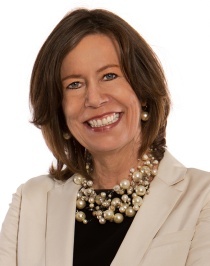 NEW YORK: Karen van Bergen will step into the role of global CEO of Porter Novelli at the beginning of next year, Omnicom Group's Diversified Agency Services unit said Monday. She is currently senior partner and MD of the firm's New York office. After working at the agency for more than a year, she will succeed Gary Stockman, who stepped down from the chief executive position on July 31. Prior to joining Porter, van Bergen spent three years in Amsterdam as SVP and senior partner at fellow Omnicom firm Fleishman-Hillard and global leader of OneVoice, a network of Omnicom agencies that work with Royal Philips Electronics. At OneVoice, van Bergen managed 600 staffers in more than 80 countries. Previously, van Bergen was Fleishman's regional director of the Netherlands and Central and Eastern Europe. She also worked for McDonald's for 13 years, where she served as chief of staff and VP of corporate affairs for McDonald's Europe, as well as director of marketing, communications, and government relations for the company's Central Europe and Central Asia division. Earlier in her career, Van Bergen served as director of corporate affairs in Europe for the Outboard Marine Corporation. Interim CEO Michael Ramah, who has served in that position since Stockman stepped down in July, will take on a new role at the agency, she added. “[Ramah] is going to continue to play a very significant role in the PN network, and we will be announcing his new responsibilities shortly,” van Bergen explained. He will remain a member of Porter's executive committee. Stockman had served as CEO of Porter since January 2008 after working as the Omnicom Group firm's president for eight years. He was a partner at technology communications agency Copithorne and Bellows when it merged with Porter in 2000. Porter has seen a number of high-level departures this year. At the beginning of June, senior partner and CMO Michael Goldberg left the agency after working there for six months to join ad agency Deutsch as CMO and partner. CFO Anthony Viceroy left the firm shortly thereafter. President Julie Winskie exited the agency in January. The firm promoted UK digital team lead Helen Nowicka to digital EVP and head of the digital and social media practice in Washington DC earlier this month. It also hired Paul George, former SVP and partner at sister Omnicom firm TogoRun, as global director of health, effective January 1.